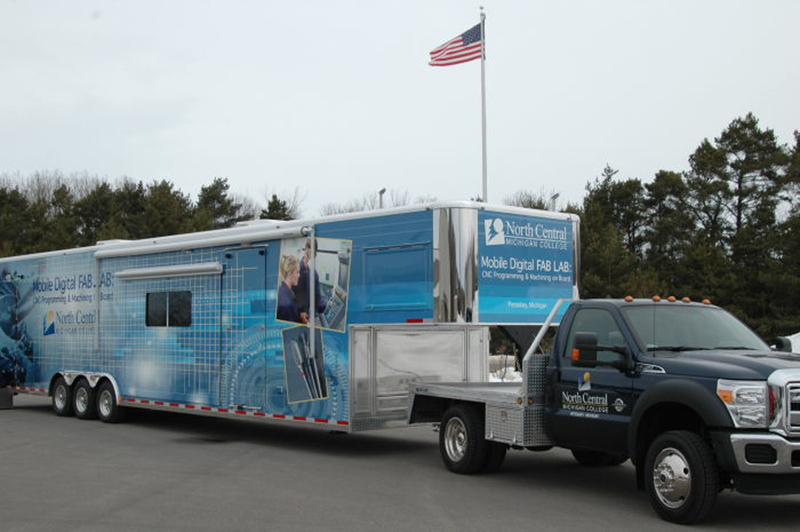 Triune Specialty Trailers was recently featured on UniversityBusiness.com for our work with the Northern Lakes Economic Alliance (NLEA) to build a “CNC” Digital Fab Lab for North Central Michigan College. Triune adapted the expandable trailer with all of the necessary technological and mechanical requirements to create the “ideal” CNC learning environment. This mobilized education solution gives students and workers in rural communities the opportunity to gain training for highly specialized manufacturing jobs. Click here to view the article.